This week we have decided to change it up a little bit – instead of focusing on just one Initial Coin Offering, we will be analyzing two ICO’s launching more or less at the same time and in direct competition with each other, since they are both related to the relatively new industry of eSports, and because both of them have interesting stories in their own right. But first let’s define this concept of eSports with a little bit of a very recent history . So just case you yourself are not an avid video gamer, or in case you aren’t a parent of an avid video gamer, you might not know that video gaming itself has evolved into a global spectator sport. By this I mean people who watch other people play video games. And I’m not just talking about a half dozen teenagers crowded around an xBox, fixated on one or two of their best buddies hammering each other on Hearthstone, I’m taking about hundreds of millions of people. It started as early in the late ninetities, believe it or not, and then accelerated in 2010 with the advent of Twitch.tv. At this point, specialist researchers like NewZoo who closely track this industry have issued a report which projects the 2017 revenue to exceed 650 million dollars, and is not showing signs of slowing. This money comes mainly from tournaments – attracting millions of viewers online – courtesy of such platforms as Twitch.tv, Douyu, Mixer, Smashcast, YouTube, and even YouTube Gaming – but this money flows through a wide variety of channels – such professional player sponsorships, game publisher investment, media rights, advertising, as well as tickets to events. If you want the full story on this fascinating development, head over to NewZoo and download their latest report. It’s a pretty fascinating read. To give you an example — just one game named Dota 2, since 2013 when the game was released, there have been 786 tournaments with over $126,000,000 awarded in prizes. In Seattle, about a month ago ,Team Liquid, which consist of five international players too the first prize for Dota 2, which was worth almost 11 million dollars. But the ICO’s this week under review are not trying to take on the likes of Twitch.tv . YouTube Gaming and Smashcast – they are working on proposals to use the blockchain to provide the ability for spectators and even the gamers themselves to gamble on the outcomes of these tournaments. I suppose this would be inevitable – the proceeds of gambling associated with sports has now for a long time dwarfed the proceeds collected by the sports industry itself. According to the Harvard Political Review, Americans bet about $95 Million dollars on College Football and the National Football League in 2016, and that’s the same year that the NFL had the best year ever – at $13 Billion dollars. So if the rough factor of 5:1 applies to eSports, then the potential market for this endeavor is not what you would call trivial. Now, because we are taking two of these ICO’s on, the format will differ slightly – yes, we will use our usual 14-point review, but these will be a little more brief, and more importantly, we will highlight the differences of each. If you are curious, the main reason for the slight departure this week is that I feel that both of these ICO’s compared and contrasted tell a more interesting story than if I had just picked one of them. Both of these ICO’s seek to provide the ability for fans who are attending or viewing live streamed tournaments to place wagers, in real time, on various aspects of the game, and both of them provide for players to bet on themselves, thereby facilitating a revenue stream for players, which don’t really have a stable revenue stream, even with today’s multiple streaming channels and over 2000 tournaments per year. If you think about it, unless you are one of the very few winners of a given tournament, playing in a tournament is an expensive proposition that has to be somehow offset with a revenue stream when you are not competing in a tournament. The company behind UnikoinGold token offering is UNIKRN, which is a company that has been established for two years and already provides an existing platform to allow online wagering for eSports. Wherever it is legal to bet on esports, you can bet using fiat currency, but if you are from a country where it is not legal, you can bet using a token, which will then allow you to do certain things on the platform – but not convert it to currency. It’s important to understand that this existing token and method of wagering at UNIKRN has nothing to do with the blockchain – yet – the ICO is about creating an Ethereum-based ERC-20 token to re-boot the platform and use clochain technology to drive it. This company is by no means the largest and most successful online betting platform for eSports, since this market was developed by companies where it’s legal to make sure wagers, such as Britain, and the real heavyweights are British companies like Betway and William Hill. But this is an established company, and I should also mentioned that this is one of Billionaire and celebrity investor Mark Cuban’s 77 portfolio companies. We’ll mention that again when we discuss the pre-sale. The company behind Gimli is very much like most ICO’s which is essentially no company per se, but a collection of team members that have gotten together to launch the token sale. It started in Febrary of 2017 – essentially as an idea, and a project. There’s no actual evidence at the moment of a company. So in this case we need to focus on a team. Most of the team members are French, with a few other nationalities represented – they are mostly young, and seem to have respectable business backgrounds, and there are at least two engineers who have some blockchain experience. One notable thing about this team is that there is an all-star line up of “eSports Advisors” who are essentially former tournament winners in eSports, with notables like “Skyart” who has not only won tournaments but become an eSports commentator. The business side of the team over at UNKRN consists mainly of Rahul Sood, who sold his first company to HP, then moved over to Microsoft to run their startup venture group, then founded UNKRN. For the launch of the token, UNIKRN has chosen a couple of engineers with experience in the blockchain and bitcoin initiatives. When looking at these companies, we can say that they represent two very different voices from the eSports community – UNIRKN being the sportsbook side, and GIMLI representing the eSports players themselves. Let’s look at the two whitepapers. The UNIKRN whitepaper is eleven pages long, with about 9 pages of actual content. And the content is pretty much nothing like any other ICO whitepaper in that there is zero technical detail and a few paragraphs about what the token will actually do, which appears to allow people to more easily monetize their existing platform – and to – and this is in a couple of places – “Attract the crypto-currency community.” The title of this whitepaper is “A Decentralized Esports Gaming Token” but the word in the title is there the concept of De-centralization ends. Essentially, the existing “UNIKOIN” will be replaced by an ERC-20 Ethereum-based token named UNIKOINSILVER and there will be another ERC-20 token named UNIKOINGOLD which will be the coin traded on exchanges and will allow the simple monetization of the UNIRKN platform. The impetus for the move to crypto-currency was probably best described in an interview with Reuters, where the CEO explained that the reason to move to crypto-currency was to bypass banking institutions. Fair enough – because that is, after all, one of the great benefits of the blockchain – peer-to-peer transactions, but there is no evidence whatsoever in the whitepaper that the company will use a decentralized platform for the management of the token. One of the key tenets of a decentralized platform running on the blockhain is that after the token is released, it’s governed by the terms of the smart contract, and NOT by the ongoing management of an entity – that’s the central tenet of the smart-contract based ICO. This is not the case here, and so we should conclude that this model will not include that sort level of decentralization and egalitarianism when it comes to the token and its uses. Other serious ICO analysts have pretty much thrown their hands up and said “I can’t perform any kind of analysis on nothing … sorry.” And I happen to agree, from a technical perspective. The interesting thing about the GIMLI whitepaper is that it is written and conceptualized very much from the point of view of the person who competes in tournaments and more importantly who streams on such platforms as Twitch.tv. It’s worth noting that this whitepaper mentions a problem to solve that the UNIRKN whitepaper ignores – and that’s the difficulty that professional gamers have in monetizing their efforts during live streaming of gameplay. It’s mainly done now through donations from Paypal and other revenue channels, which very often turn out to be stolen identities and accounts, and which result in a large percentage of chargebacks. This is a real problem for video streamers, and I suppose it’s understandable that UNIRKN doesn’t address it, since their existing platform has nothing to do with video gameplay streaming, per se. But I do feel that it’s worth noting as a difference. Gimli started the idea in February of 2017 and by June they had some smart contracts deployed on a test net. The pre-sale occurred between September 1 and Spetember 15, and the main token sale started on September 18th and is ongoing now. They have an ambitious plan to have a public beta of the platform by the end of six months, with project completion within 12 months of the end of the ICO. That would be October of 2018. Oddly, the last item in the timeline is for the future and it mentions an “Oracle based bet resolution” system – which doesn’t sound quite decentralized – and I presume that would be what is known as “off-chain”. I asked the question on Discord and didn’t get an answer. The road map for UNIKRN is very basic, with three major milestones. On November 5th, they plan to have renamed their UNiKoin token to UnikoinSilver, and will have issued UnikoinGold, the ERC-20 token, for Limited Juristictions and Full Jurisdictions. Then in the first week of January 2018 they will add subscriptions, betting bonuses, access to live and pre-match sportbook, and subscription jackpot rooms based on your jurisdiction. And a month later, in February of 2018, the platform will be complete. Late on they will work future projects into the system with donations, casino games, and tournaments. For UNIRKN, there does not seem to be a structured pre-sale, except for an invitation-only period from 9/15 to September 22rd, when the public sale started. I should mention at this point that there are a lot of celebrity investors starting with billionaire investor Mark Cuban, who funded the company originally two years ago, and that’s when it was added to his “portfolio” which currently lists about 75 companies presently. There has also been a lot of press since June, when it was widely reported that he will participate in the ICO itself, and this came weeks after he tweeted that Bitcoin was a bubble. I should point out that this is a position that is typically simplified by the media, in which they can’t make the distinction between a comment like that and the blockchain itself. As it turns out, the CEO of UNIKRN pointed out that it was Mark Cuban himself who suggested to UNIRKN to start looking into incorporating crypto-currency into the existing platform. There are also some media stars investing as well, such as Ashton Kutcher, Shari Redstone and Elisabeth Murdoch, although it’s not immediately clear whether these investors appeared two years ago or whether they plan to participate in the ICO as well. Thpublic ICO started on September 22rd at 6PM and today, on October 1, about $27 million dollars of ETHER have been raised. The sale ends on October 22nd. Particpants will receive their tokens on November 5th. I should also mention that the sale is not being conducted using an ethereum smart contract, but through a company named Zeppelin, which offers an alternative. This is an interesting development, and it was explained that it was done due to “recent legislation in the U.S.” The sale is open to U.S. investors. There is no soft cap and the hard cap is set at $100M. No single participant can invest in more than about $300,000, which is in the spirit of maintaining an egalitarian crowdsale, and not a bad idea when you literally have billionaire sharks circling around. Let’s talk about GIMLI’s presale and sale. It’s worth mentioning that the pre-sale and the sale are closed to US. Investors – the usual explanation was offered on Discord (our attorneys advised us that US Regulations are ambiguous, yadda yadda) and the ICO began on September 18th. And given the news in the last couple of days that the SEC finally got around to prosecuting its first two ICO’s, it’s not terribly surprising. The GIMLI presale and sale, however, I’m sorry to say, would be charitably described as a disaster. And this is why it became apparent to me that I needed to cover these two events, and contrast them, because this is the interesting thing. It could be argued that GIMLI had a whitepaper that was more thorough, a team that had more experienced with blockchain technology, and a concept that was more aligned with both the crypto-currency world in terms of decentralization, and even from a political standpoint of serving the little guy, so to speak – the professional and semi-professional player who has a set of monetization problems that can be solved in a very classic way of using a distributed currency for direct peer-to-peer transactions, as well as ways in which to benefit from wagering without a centralized bookmaker. All of this was in place. And yet, through a series of very serious mistakes, it looks like perhaps the entire project is in question at this point. The pre-sale ended on September 15, and according to the website, they sold about 18 million tokens – which would amount to something like $7 M U.S – but this is in conflict with an announcement made on medium where it was stated that what amounted to about 1.1 M USD was collected. I’ll try to piece this together in a moment. The sale started September 18th, it appears that the sale has slowed to a crawl amid some serious issues. The trouble , as I tracked it on Discord, started on the 18th , when some investors in the pre-sale noticed a large transaction entering the contract – and because this sale is transparent as a smart contract you can examine the transactions on etherscan and watch the tokens flowing. This led to a series of questions to the team where it was eventually explained that some pre-sale negotiations with some large Chinese investors fell through when China shut down bitcoin exchanges and effectively outlawed certain aspects of trading bitcoin. So the Chinese investors, which had promised GIMLI about 7 M, pulled out of the pre-sale, which then caused GIMLI to change the terms of the sale – and cut the “soft cap” of the sale in half. Now if you do the math, I should explain what a soft cap is — from the perspective of an investor, the soft-cap is the amount that must be raised in order for the sale to go through, and if that soft cap is NOT reached then investments are returned. And most ethereum smart contracts, especially for ICO’s have a return function – about eight simple lines of code – that returns the investment if the soft cap is not reached. Turns out that this contract didn’t have one – which is a very basic mistake. If you search online for a basic tutorial how to code a smart contract for a crowdsale you will find that just every tutorial mentions the return function, and just about all ICO’s that have soft cap abide by it. The fact that there was none in this contract, coupled by the fact that GIMLI changed the terms of the soft cap and also drastically reduced the scope of the project in order to accommodate for 8 M less dollars did not sit well with the investors in the pre-sale. They began to demand their money back. And over the course of five days, the team promised that they would be refunding the money of anyone who requested, on the 29th, it was announced that no, in fact, they would not be refunding anyone’s money – and they pointed to a legal contract (not the smart contract) which mentioned that there were no refunds. They also went through some ridiculous attempts to quell people’s concerns by announcing a doubling bonus for new investors, which was so poorly received – can you imagine how the presale investors felt about that one — that they fell all over themselves apologizing and immediately withdrew that announcement, and then added a 5X bonus for pre-sale investors that will issue 5 X the number of tokens issued during the pre-sale – this was designed to calm pre-sale investors, and to also help mitigate the cries of outrage from the pre-investors Needless to say, the crypto community has not responded kindly to this series of events, and the sale at this point is barely collecting an ether a day. It has slowed to a crawl, and it’s not quite clear whether they will even reach the soft cap that is now half of what it was earlier. You might ask that if the smart contract is indeed open source and could be examined by potential investors – that those pre-sale investors should have looked at that smart contract and noticed that the Return function was missing. You would be right about that – they should have, but they didn’t. And so let this be a lesson, I suppose – and a good piece of due diligence to follow when considering investing in these ERC-20 tokens issued through a smart contact. Another part of this that interests me is that it makes you wonder how valuable these so-called Advisory boards really are. First, during the time all of this was going down – right when the token launched there were people asking these questions on Discord and the team was off doing the things they probably should have been, like speaking at events, etc. – but where was the advisory team? Not only on the Discord channel to put out fires, but to advise them in the first place of what to do from the beginning. An example is that the CEO on Discord, in a lively discussion about what a soft-cap means, gave his explanation – a soft cap is the minimum amount that a project needs in order to get a product out the door. And yet, the team based their original soft cap not on that – but on how much money they figured they would make to help them achieve the soft cap more easily – and not have to refund investor’s money. Where, I have to ask, were the decades of business experience to advise these young entreprenuers that seems to be evident from examining the resume’s of the so-called advisory team. How much advising really goes on. When you look at the distribution of these tokens you always see a healthy percentage going to the advisory team. I’m not usually cynical, but I think it would be naïve to imagine that some of these advisory teams might actually consist of some very valuable posted photos and biographies, and not much more than that. UNIRKN for the token will be UKG and will be an ERC-20 token operating on the Ethereum platform. The coin will be used for in-game purchases, for betting in Full Jurisdictions, prizes, and tipping. The current token named Unikoin, which is not a token running on a blockchain will be renamed to Unikoin Sliver – this will not be an ERC-20 token, and it cannot be withdrawn from the platform. The CEO has responded in interviews with all of the right responses to ward of speculation and run afoul of the SEC – like that they are focused on the platform and not thinking about exchanges, but I can imagine there is a very high likelihood that this token will be traded on Exchanges shortly after the ICO is completed. There is a sliding scale of value where the value of the token will actually rise depending on the turnout of the ICO. GIMLI – this token is GIM, and is an ERC-20 Ethereum based smart contract, and can easily be looked up on Etherscan. The price for the GIMLI token is set at 700 GIM for 1 ETHER. There is a 5X bonus for everyone participating. This effectively means that the price is 3,500 GIM per ETHER. In terms of business viability, there is clearly an enormous market for this. On the UNIKRN side, I have little doubt that the introduction of crypto-currency will facilitate a big part of what that company does on a daily basis and will almost certainly result in the growth of the platform as a sportsbook. And as I noted earlier, the growth of both the Esports industry and online gambling together ensure a viable business proposition. On the GIMLI side, there is no question that the players would find this well-received and would eagerly participate in any way that would facilitate a more stable revenue stream. For me, the final takeaway is this – while we do our level best to perform these analyses by reading the whitepapers, examining the team, looking carefully at the technology, we are finding that there is more to running a successful ICO than a good whitepaper and a solid team – there is also there actual operation of the ICO itself. This is especially important if you don’t already have a successful company and an A-list of investors behind you like UNIKRN does. I would argue that the main reason why UNIKRN didn’t have a brilliant whitepaper and an all-star list of ehtereum blockchain developers is because they didn’t need to. What happened to GIMLI is a cautionary tale not just to investors, but to any group of bright individuals with good ideas who want to launch an ICO without an established company. The message is clear – find yourself someone who knows how to run an ICO and run it well and let them lead you. We saw this with Health Nexus last week in their choice to go with Token Market. This also calls into question the purist approach. 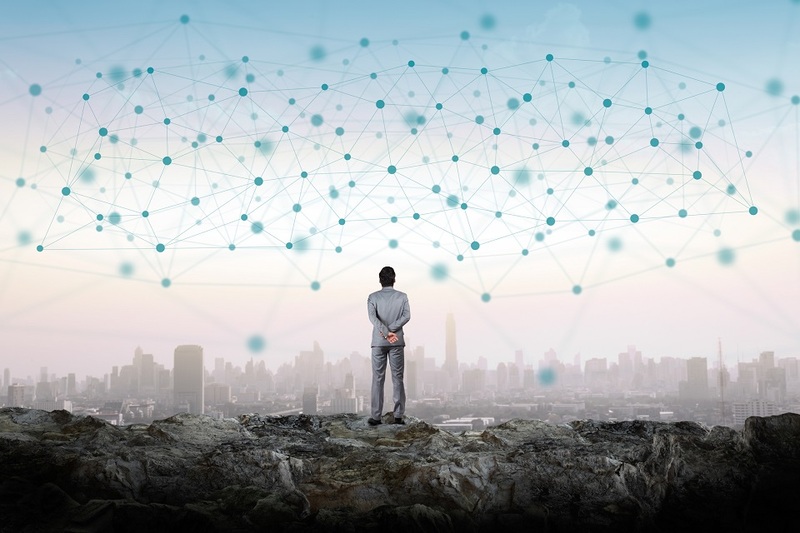 What I mean by that is that a project for blockchain is valuable because it meets a certain set of standards that stem from the foundation of what bitcoin and Ethereum promise – a truly decentralized platform, a trustless network, and a series of rigidly enforced smart contracts with no central authority. While in some interviews, some of the UNIKRN team has made some vague overtures toward decentralization, but it’s clear that the first and foremost goal is to replace their current token with an ERC-20 token, but that the management of the token will largely be conducted through the central authority that is UNIKRN. Will that have a negative impact on the price of the token? Probably not. Is it therefore OK to base your interest in a given token purely on how you think that token will perform on exchanges – irrespective of whether it follows the so-called tenets of the promise of a decentralized blockchain? Because I’ve never been a fundamentalist in any sense of the word, I believe it is. But ultimately, it is a decision you will need to make for yourself.